The first book of YE Meakin, Hunted, publishes on September 1. She joins the blog in a state of high excitement ahead of its release! Hi there, and congratulations on your first book! How's the excitement/terror balance going as you wait for it to go live on Amazon? Honestly, I am so nervous! When you spend months working on something, you just really want everyone to love it. I wonder if these nerves will gradually disappear with each book! It is great to be finally getting Hunted out there though, and I do look forward to hearing what everyone thinks. Now you've described the book to me as being dystopian and aimed at young adults, a dash of Hunger Games, a dash of Divergent – what has drawn you to that genre? I think that it is easy to draw parallels between our world and the worlds based in these novels. It is amazing to see the worst parts of ourselves in these dystopian societies and I think it is a little bit of a shock too. Young adults will understand elements of what my characters are going through, there are times when we all feel a little lost, a little emotional and everything seems to be alien to us. I think the appeal to writing for young adults is their ability to empathise regardless of what world our characters are based in. Do you read a lot in that genre or do you find yourself writing outside of what you might normally read? If the former, who are your major influences in that field? I read an awful lot in that genre. There seems to be something about YA books that just capture my imagination endlessly. There are so many authors that I admire! Richelle Mead is amazing; her Vampire Academy series was brilliant. Obviously Suzanne Collins and Veronica Roth were major influences. I think, and this one may surprise you, Joss Whedon was a massive influence, although he isn’t an author! I grew up watching Buffy and she was the ultimate strong female lead character. Okay! Well Hunted is set in a government run Academy aimed at producing perfect soldiers. The children raised in the Academy have to fight for their lives on a daily basis. Laura discovers a few things that the students aren’t supposed to know and is forced to choose between staying and trying to escape into a world that she has never known. What about the lead character? Tell us a little more about them – what drives them? Laura is pretty kickass. She is the only girl in her year at the Academy (the other females were terminated at earlier stages). I think more than anything she longs to be safe. She wants to keep her friends alive and she wants a home and people that she can trust. 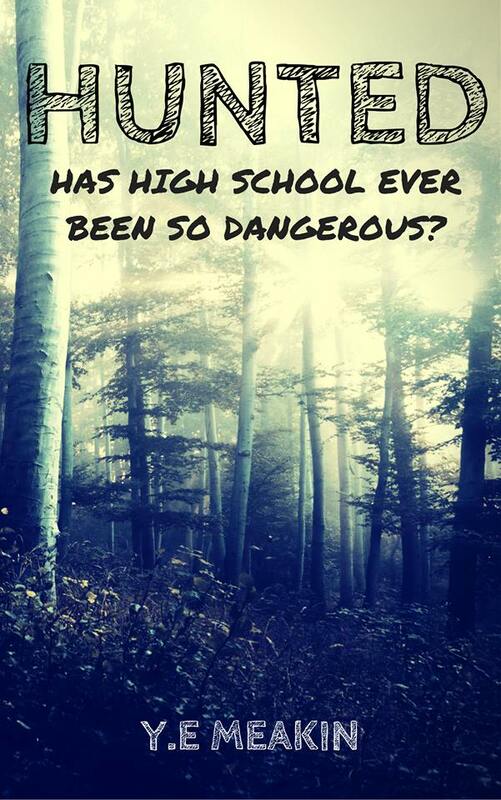 The tagline for the book is “Has High School ever been so dangerous?” - which to me makes it sound like John Hughes movies gone to Hell! What made you focus on that high school moment in your characters' lives? Go on, I have to ask, what's your own worst high school moment? If you can bring yourself to tell! Honestly, I hated high school! All of those unrequited crushes and the girl cliques! I spent most of my time with my nose in a book. I think the one that I am willing to share is when my trousers split in the library! Luckily no one seemed to notice but I did have to stand in my underwear in the bathroom whilst my best friend attempted to sew them back up! What are friends for, ey? 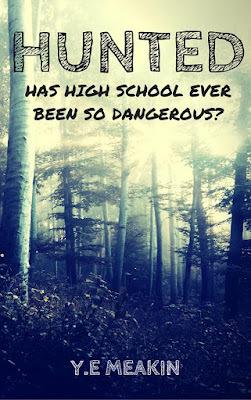 Given that collision of dystopia and high school – two questions here – what's your favourite YA movie/series and your favourite high school movie. Points deducted if you choose Vampire Academy. Okay so the easy one is Buffy the Vampire Slayer, because it was amazing and I never wanted it to end! I think my movie choice is going to make you deduct more points than if I had said Vampire Academy (which was a really good movie by the way!). I still like Twilight, I think that maybe I can empathise a little bit too much with Bella because of how clumsy I am. What's your background away from the world of being a writer? And what drove you to make that step to creating your own novel? There isn’t all that much to tell! I grew up in Staffordshire, England, and was a book worm from day one. 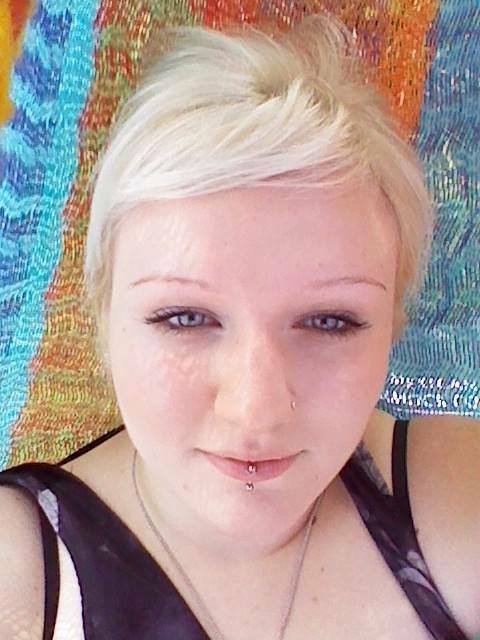 I have Dyspraxia which is a learning disability, but my reading has really helped me through the literacy part of it. I have previously written for two global business to business magazines on the subjects of Law and Finance (yawn). Fiction has always been an aspiration though; I love books and getting lost in stories. So the book is available on Amazon, yes? Is it ebook only or hard copy too – and being new to the publishing process, what were your greatest difficulties in going from finished story to finished product? Hunted is available exclusively to Amazon for now, I wouldn’t definitively say that it will never be a hardcopy, but it isn’t at the moment. I hated the formatting part, if it wasn’t for a very good friend of mine, I don’t think I would have gotten through it without throwing my laptop out of the window! I had a few issues with the cover too, I had originally paid a graphic designer to do it but after seven attempts he didn’t seem to grasp what we were going for. In the end, I designed the cover myself. With this being your debut, we'd love to chat to you again down the line to see how the launch went – but dare I ask what are your launch week hopes? Have you got any reviewers already lined up? I just hope that it goes smoothly and as many people as possible like it. I do have a few reviewers ready to post their opinions; they all really loved Hunted (which was a massive relief). I hope that these positive reviews continue. Of course, I always have time for you, so I would love to come back and have another chat! So, what’s next after the release of Hunted? Are you working on a sequel? I have a few writing projects at the moment. I am hoping to release another novel before Christmas, it is called ‘Deadly Secrets’ and it is written from the point of view of a female serial killer. The sequel to Hunted is also in the works, I am releasing ‘Trapped’ in March 2017 and you will find a teaser in the back of your copies of Hunted! Best of luck with the launch. We have a traditional two-part question to round things out here – so what are you reading presently, and what has been your favourite book that you've read in the past year? At the moment I am reading ‘Secrets of the Mind’ by the wonderful E.J Bennett, I love it so far and the author is a friend of mine, I would really consider checking it out! My favourite book at the moment is ‘Dear Amy’ by Helen Callaghan, it is a bit unusual for me to have really enjoyed something that isn’t YA, but the twists were amazing. Hope all goes well – we'll be sure to lend a hand with retweeting! Congratulations on the launch! I hope it goes well for you. Huge welcome into the even bigger world! Welcome fellow author, and may your debut be the first success of many.